Fae Crate’s Hangover Crates seemed like a fun (and necessary) addition to the book worm’s life. There are just some series that we become passionate about and probably need some support when the next book in the series comes out. 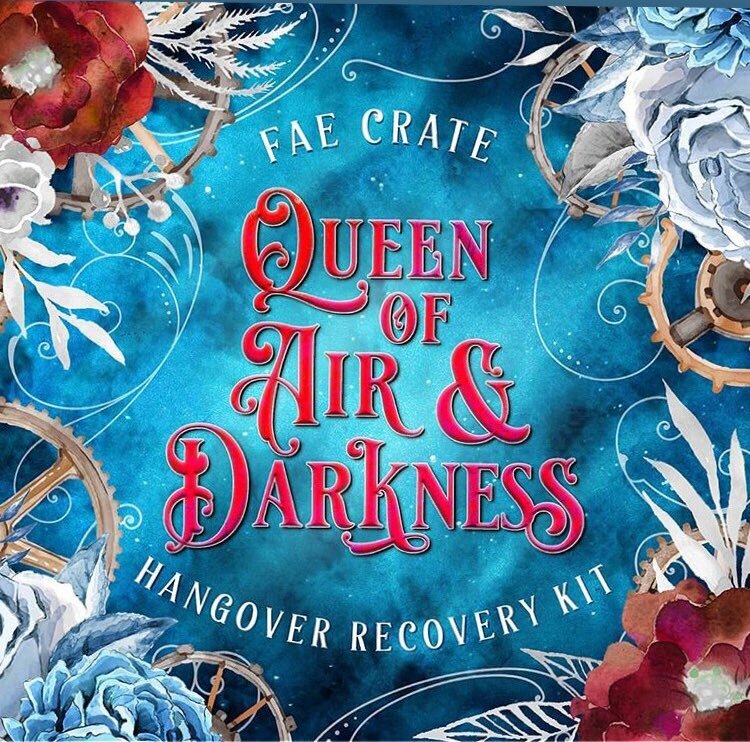 As a result, I decided to check out their Queen of Air and Darkness crate and see if it helped me cope with the book. I hope you enjoy! Look at this gorgeous box. I am impressed by the thought and time dedicated to the cardboard container that the items will be shipped in. This is not my picture. I gave my friend the Will Herondale plush for Christmas and totally forgot to take a picture of it. This wasn’t really my style, so I gave it to my friend for Christmas (she loves warm colours and Jemma). The Wild Hunt Candle by Whiskey Diamond Candle Co. This is super pretty and actually smells pretty good, I can’t wait to burn it! This is super pretty, but it’s only 2 GB so it can’t fit much. Still, I love it! I actually saw someone carrying this out in the real world and it was so weird. I felt an immediate Shadowhunter/Fae Crate kinship with them, which is weird.. so I didn’t say anything. I’m not a huge fan of this art style, but the idea of it is so fun. This is my favourite item in the crate, it’s so unique and such a pretty addition to my Shadowhunter shelves. This was such a fun unboxing. What was your favourite item? Let me know in the comments!